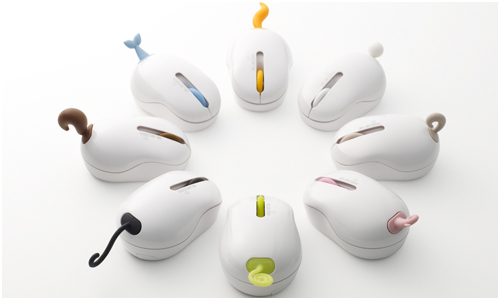 This series of Oppopet computer mice is the latest from Japanese design firm Nendo, designed for ELECOM. 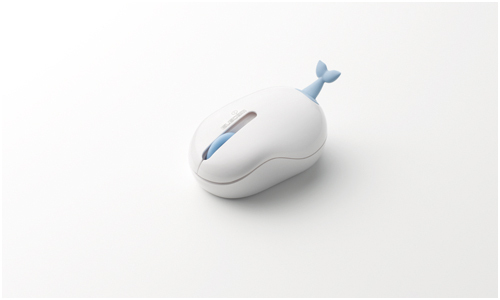 This wireless optical mouse comes with a USB receiver that is in the shape of different animal tails. 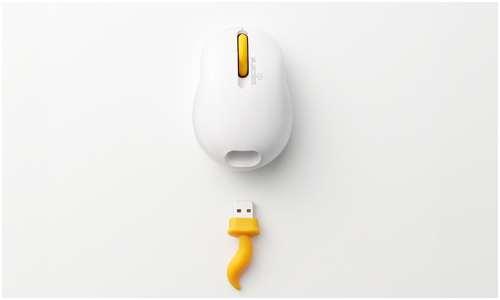 Simply plug the tail into the computer and the mouse is ready for use. 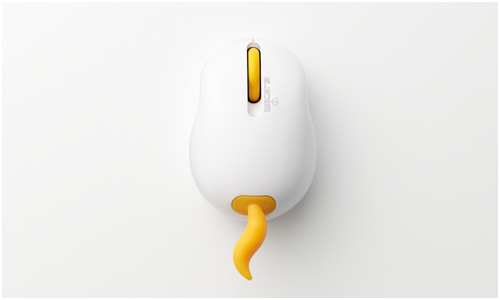 Once done, just plug the tail back into the body of the mouse and you’re done. Retails for 2,980 Yen (approximately US$37.25, 26.60€ or £23.30) and sold only in Japan at this time. All photos by Hiroshi Iwasaki. Used with permission.